My four-night Aqua Mekong journey from Ho Chi Minh City to Phnom Penh begins at the Caravelle Hotel (www.caravellehotel.com) in the centre of Ho Chi Minh City. This is the pick-up point for guests, who will meet the Aqua Mekong guides and board vans for an 11/2-hour drive to My Tho, a port city on the Mekong River where the Aqua Mekong is docked. Guests need to arrive at the hotel by 1pm and Tigerair (7.05am), Jetstar (7.10am) and Singapore Airlines (9.50am) offer early morning flights which provide enough time to clear visa and immigration queues and airport transfers in time for pick up. On the last day, disembarkation takes place at noon. Guests heading back to Singapore after the cruise can take a 2pm SilkAir flight on Sunday, Monday or Friday, or the 3.25pm Jetstar or 6.10pm SilkAir flights which run daily. 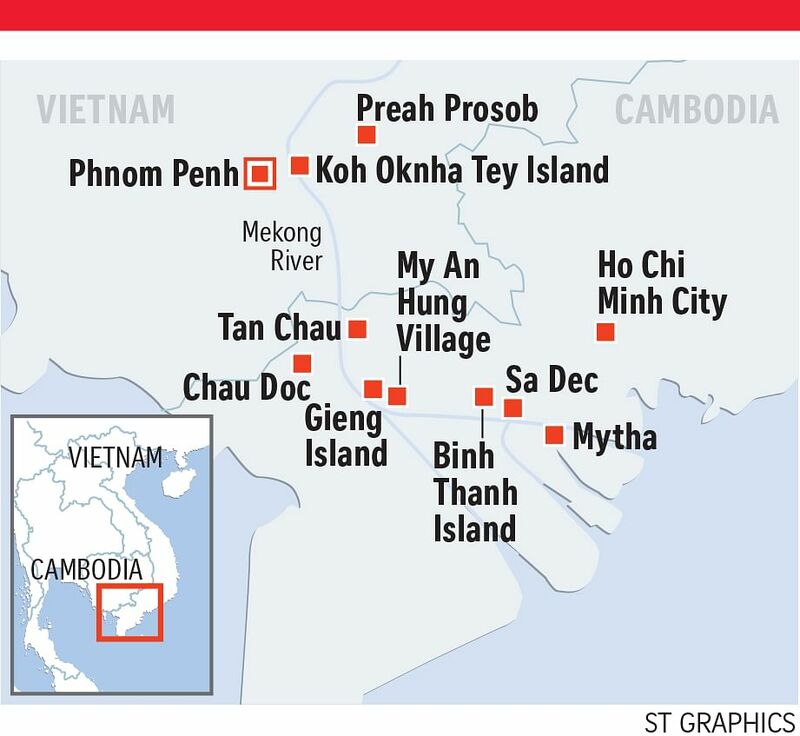 Aqua Expeditions, the luxury cruise operator behind the Aqua Mekong, offers three-, four- and seven-night cruises between Ho Chi Minh City, Phnom Penh and Siem Reap, starting at US$3,315 (S$4,480) a person. For more information, go to www.aquaexpeditions.com. •The writer's trip was sponsored by Aqua Expeditions.